Choosing a good kitchen or bathroom sink can be very difficult. Should you go with stainless steel or porcelain? Is a single bowl better than a double? These are some of the questions you will find yourself asking. The hardest question is on the brand to go with. At WaterFlo in Toronto, we stock sinks from the leading brands in the world. Duravit is one of our favorite brands. The reason we chose to add Duravit sinks in our collection is because the brand offers many combinations to fit any kitchen and bathroom style. The range of sink accessories that Duravit offers will further make it easier for you to use the sink whether you are washing dishes or getting ready for work. As you can see from our collection below, Duravit kitchen and bathroom sinks are distinguished by their striking, precise, rectangular and soft and flowing designs. 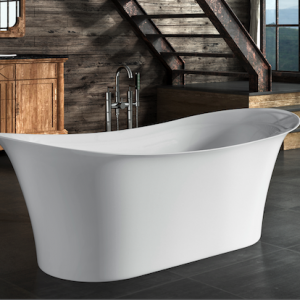 You will find the piece you need to create a modern yet timeless bathroom that adapts to differential styles. The sinks by Duravit focus on the users’ personality and individuality. There are many sink styles to pick from in the different series offered by Duravit. By stocking a huge selection of sinks, WaterFlo makes it easy for you to find your favorite sink and plan your own dream kitchen or bathroom with ease. 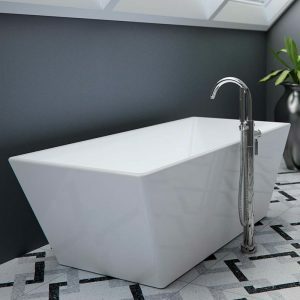 Our main responsibility as a distributor is to provide you with unique sink designs. Check out our selection below and let us know if you need any help. We can deliver any ordered sink to anywhere in Canada. Give us a call today to learn more.